Where do retirees want to live? According to a recent study conducted by Retirement Living, 83% of over 2300 respondents polled (aged 50 to over 81) say they plan to grow older at home and that moving into an assisted living facility is a last resort. Most people want to stay in their homes and communities as they age because of the familiarity and proximity to the places they frequent, such as grocery stores and doctor's offices. They also want to be near families and friends and near their churches or other social organizations. What modifications do retirees plan to make to stay in their homes? To meet the challenges of aging in place, respondents say they are willing to make modifications to their homes. 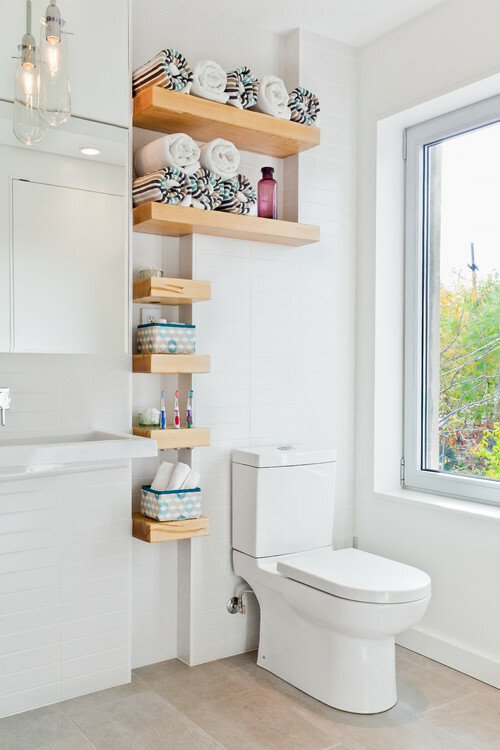 Nearly 75 percent prioritize the bathroom and plan on making small modifications, such as adding grab bars and non-slip mats, as well as making larger changes such as installing a walk-in bathtub. Exterior modifications and bedroom modifications placed second on the list of priorities with 30 percent saying they plan to implement changes such as ramp access, interior and exterior lighting improvements, and adjustable beds. The kitchen was the last priority for respondents of this study, but they cited modifications such as easy-to-reach storage and lowered countertops. Will retirees use technology to help them age in place? Ten years ago, people weren't sure if they would use technology, and their answers leaned towards not being likely to use it. This recent study, however, shows that most retirees are now either likely to use technology, or they aren't sure. The technologies asked about were medical alert systems, grocery/food delivery services, ride-share apps, activity monitoring systems, online pharmacies, and stairlifts. We offer a range of support brackets to enhance your living-in-place home modifications. 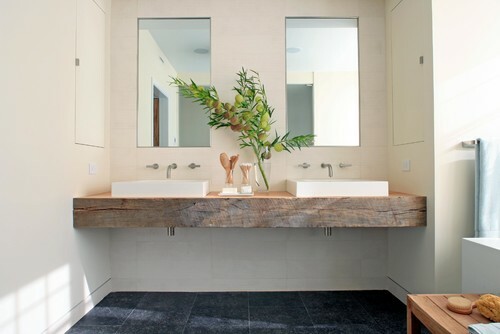 "Floating" vanities (wall-hung) are a hot design trend, but they are also just the thing for aging-in-place design. Ideally, sinks and vanities should be wall-mounted so that there's space underneath for someone seated in a wheelchair. When it comes to safely and securely mounting your wall-hung vanity, we have just the support you need. Shop for our Vanity Brackets here. Open shelving is practical for being able to see and access things easily. We offer both traditional shelf brackets (for a rustic or industrial-chic vibe) or "hidden" brackets that mount to the wall studs before the sheetrock goes up for a more modern, streamlined look. Take a look at our Shelf Brackets here. Shower seating is a must for aging-in-place design. Consider installing a floating bench – our heavy-duty Bench Brackets will support up to 500 pounds (per pair) and are virtually invisible to give your wall-mounted bench the appearance of floating. Kitchen islands with ample storage are a benefit in any kitchen and can easily be designed for wheelchair accessibility. Just make sure your island has between 42 and 48 inches clearance on each side, avoid bar heights, and use "hidden" countertop support brackets to eliminate the need for corbels or legs for better wheelchair accessibility as well as unobstructed access to the storage underneath. Learn more about how our Hidden Island Support Brackets will safely (and nearly invisibly) support your kitchen island countertop. Kitchen Design: Using Universal Design Principles In Your Remodel Makes Your Kitchen Better for Everyone! What Does Aging in Place Mean for Residential Bathroom Design? When it comes to your smart design choices, you can depend on The Original Granite Bracket® to provide safe and secure countertop and shelving brackets, along with the support you need to ensure you get the right products for your project. Connect with us today – we're here for you!